Multiple boys were hanging on precariously to the local train and brandished sickles, long knives and machetes dangerously. The screech of their sharp weapons against the platforms of the railway station announced their arrival before they did. 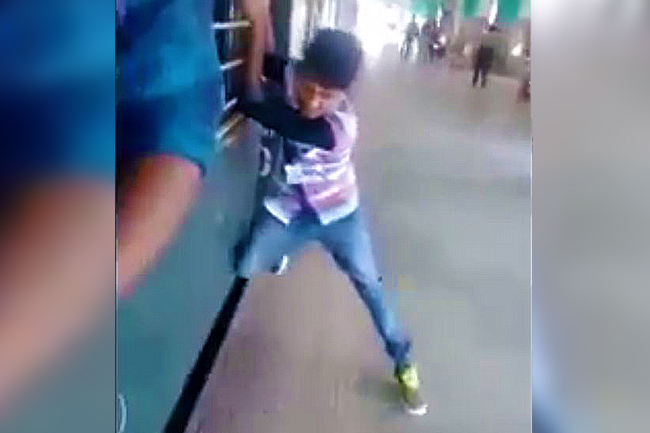 Multiple boys were hanging on precariously to the local train and brandished long knives and metallic rods dangerously before shouting 'Pachayappa' (a prominent college in Chennai). The scene from two videos uploaded on Facebook by a student named Bharathiraja at around 4pm on Monday, led to waves of concern on social media. 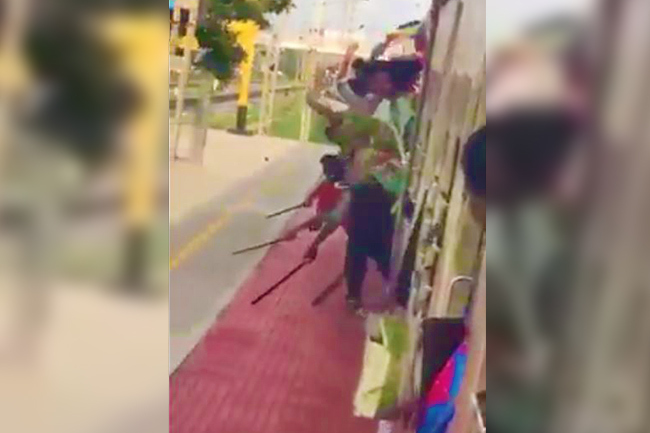 Three videos had been uploaded, all of them equally worrisome as the young men put themselves and the public standing on the station or on the roads in danger. 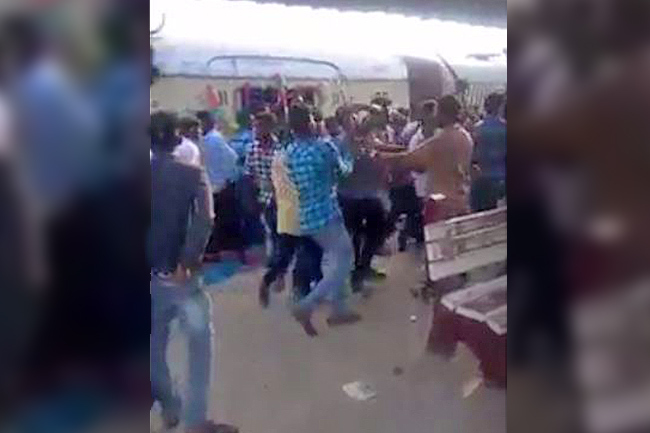 The 'students' were also seen standing on top of government buses and even bursting firecrackers on the railway platform. The profile of the student who had uploaded the video had said that he was a student of the college and the post had got many comments from other students applauding the 'brave feat'. When TNM contacted the railway police, the Public Relations Officer M.Boopathy admitted that the videos were alarming but that wasn't enough to file a case. "The videos could have been taken even a year back and may have been circulated now," he explains. "We don't know which station it is or if those students even really belong to Pachayappa's college," he added. But once these factors are established, the railways police has assured action. Georgy George, the Superintendent of Government Railway Police in Chennai told TNM, "If it is a new video, we will have to increase patrolling in these areas especially in the morning and evening when student movement is there. Police forces are limited, what we do is try to maximise resource utilization. In general, in night, the possibility of offences is higher, we try to march maximum during night time. Whenever there is increase in crowd, we try to put more people on duty. So, if students are travelling like this on the trains, then it becomes a priority area for us, so we divert more people in that area." It doesn't help the college's image that its students are known for their violent behaviour and practice of vandalising public property. When TNM contacted a college representative, he claimed that they had to first identify the students seen in the video. "But if we find that they are indeed our students, the punishment will be severe," says the representative.